Laüsa is a musical journey through songs that draws its identity from the Gascon musical tradition and allows a few detours. Their music is multiple, open and generous: we can hear Mediterranean and Atlantic influences, as well as sounds borrowed from current music. Sirus is a quartet, made by a collaboration between two duo constellations with strong deep roots and wildly untamed imagination. Jonas and Josefina play music based on Swedish traditional music, allowing an embroidery of free associations to embellish their tunes. Sophie and Baltazar play music where communication and improvisation meets in the tonality of French and Hungarian traditional music. 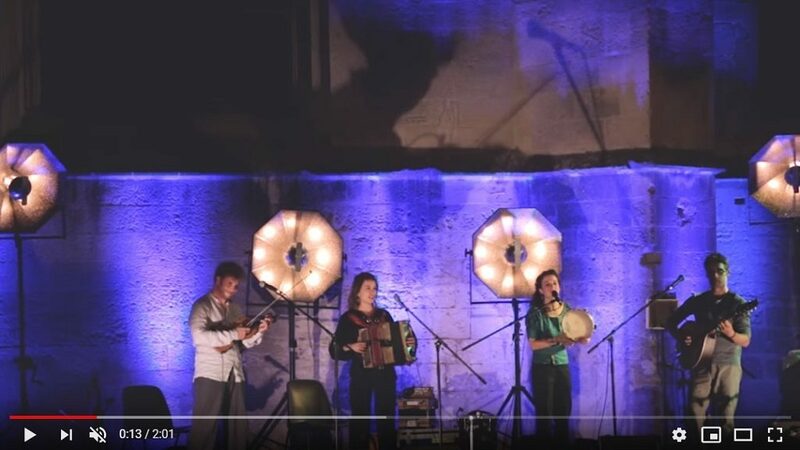 As a quartet, Sirus plays their own compositions making a new painting each time they meet, with sparkling colors and new patterns showing a picture of music with one foot in the traditional music and the other in a wider musical practice.